Tired of sleeping through your alarms? Do you hit the snooze button over and over again? We don’t blame you, it happens to the most of us! Modern alarms clocks just make it way too easy for us to snooze. Ruggie is here to the rescue! 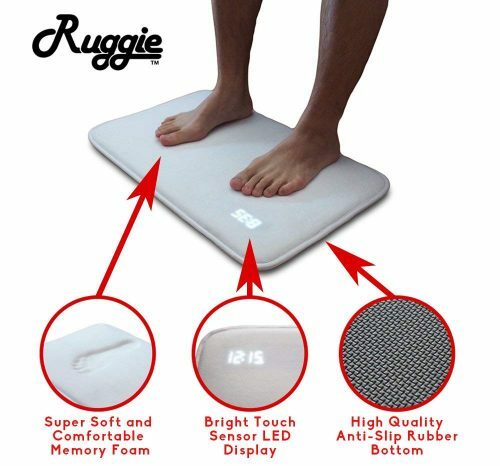 Ruggie is extremely loud, ranging from 90-120 decibels, and it needs to sense your pressure for at least 3 seconds to stop its alarm, this time can be prolonged up to 30 seconds – so you will be up from your bed in no time and feel instantly awake with Ruggie around. Ruggie is available on Amazon at a USD $69.99 price tag with free US shipping. Delivery to Malaysia is not available, so count on us to get it back to you, always RM10/lb!